Before he became an actor, Ted Cassidy worked as a staff announcer for WFAA radio in Dallas and was part of WFAA's ongoing coverage of the assassination of President John F. Kennedy on November 22, 1963. He was among the first to interview assassination eyewitnesses W.E. Newman Jr. and Gayle Newman. 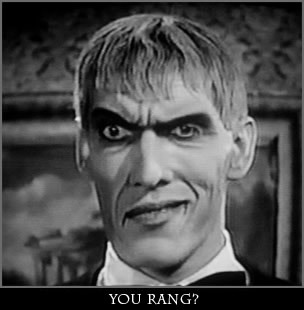 By the way, don't confuse the late Ted Cassidy (1932-1979) with the still-alive-but-retired Richard Kiel (1939- ). Awesome man! I would love to watch it live.I wish I had found it out sooner. Thanks for sharing it. Ted Cassidy was a friend of mine, an occasional date, at Stetson Unversity,DeLand,Florida. Hewas a basketball star (at 6'9") and I was 5'11". We both were active in theatre --he on stage and I backstage.A gentle man, he took any role offered to him. When he began, years later,as Lurch, I wrote to him and he explained, "When I turned 30, I thought I had better get moving upward so I sent a video to California."